This is footage of a rare type of birth. A nurse in Spain captured this footage. This only happens in one out of 80,000 births. 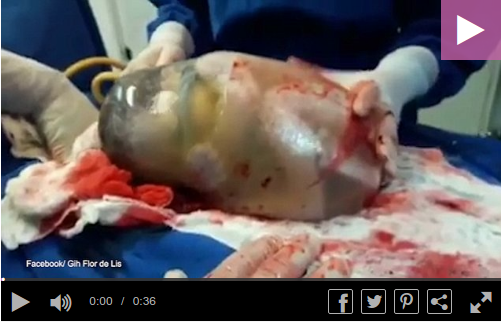 The amniotic sac usually breaks when the mother goes into labor but in this case the baby was born while still inside the sac. The child can be seen making subtle movements before the doctor pieces the sac and extracts the baby.